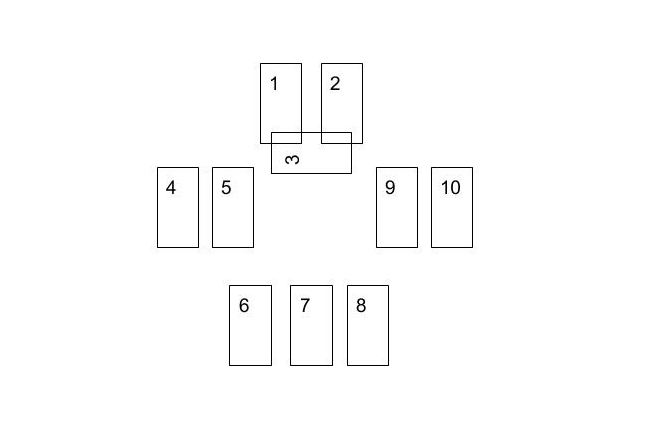 I recommend leaving the cards in the spread if you can, so you can return to them for further reflection. Or, write them in a journal with your impressions to refer back to later. 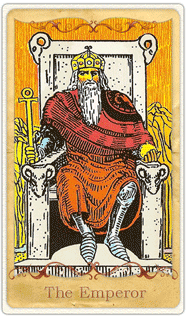 Card 1: The querent’s inner situation, higher self, deepest motivation. 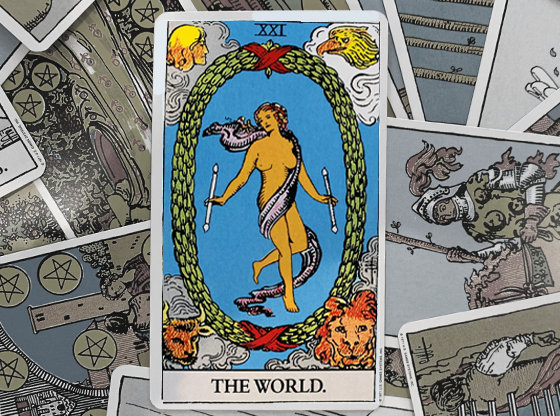 Card 2: The querent’s outer situation, what is “showing” to the world, acting upon the querent. 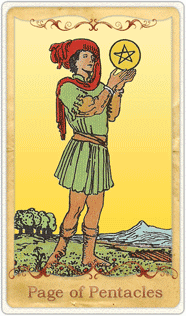 Card 3: The “challenge” to the situation generally. Card 4: Past and past-life influence impacting the situation. Card 5: How that past influence is impacting the querent. 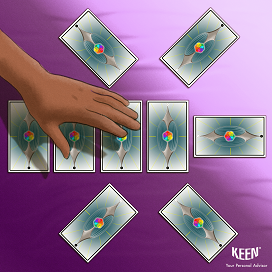 Card 6-8: The “work” cards or the energies present for the querent to work on and learn from. 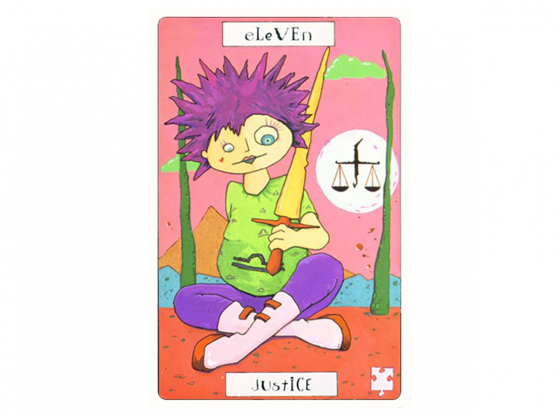 Card 9: The immediate result of taking on the work cards, short-term reactions. Card 10: The long-term outcome. Let’s look at a reading I did for Madeline in which I employed this spread. She had recently lost her job through layoffs. This had come as a complete surprise to Madeline, but she looked at the change as an opportunity to start her own business, which she’d been longing to do. She was excited about her new business but completely unable to get organized and stay on task. She was frequently emotional and endlessly distracted. After assuring her that these emotions were all perfectly normal for the type of transition she was in, I proposed the Inner Work spread. “Let’s get at the root of what the Universe is asking you to do,” I told her. 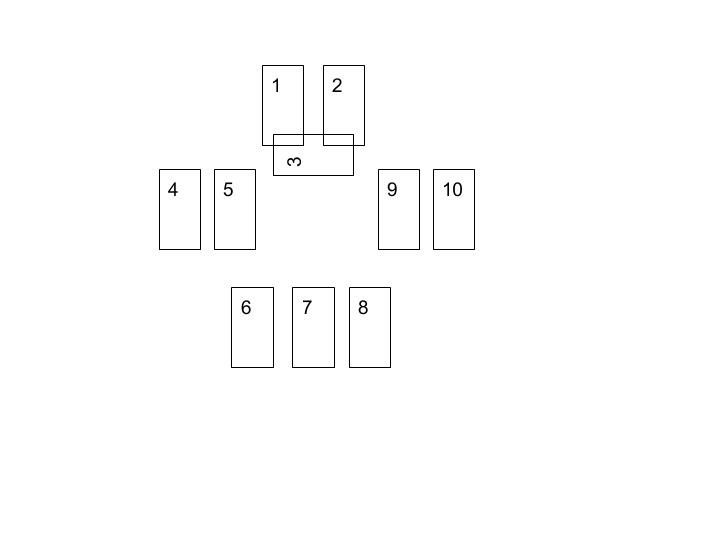 I laid out the spread, turning over the first three cards. In the inner-self position, she had the Emperor (IV). This card revealed that her higher self was in a position of clarity, strength, and power around the new career, even if she didn’t always feel that way. It was a time for using her masculine energies of initiation, taking charge, and understanding how to delegate and prioritize. 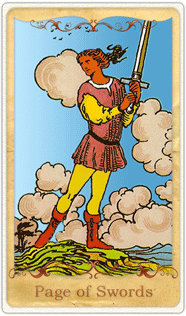 The outer-self card was the Five of Swords. Here, she resonated with the muddled thinking, minor irritation, and defeat that was going on in real time. Her mind (swords) was being her “enemy,” and the number five revealed the minor and transitory nature of the distractions. 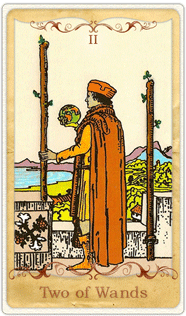 The challenge for the overall reading was the Three of Wands. She agreed with the card’s meaning: She had “called in” the vision for her new business, and she could see it on the horizon. She felt excited by the creation process and by future collaborations (suggested by the three). However, the challenge was that she was very distracted by initiating new actions supporting the vision, rather than working on the tasks in front of her. 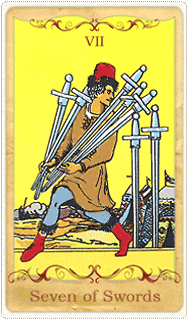 Card four revealed the Seven of Swords. Immediately, I was struck with the sense that she had some past betrayal or forgiveness work to do. She agreed. A past attempt to be self-employed with a business partner had not gone well, and she felt they both had acted poorly. The seven suggested she had unconscious defensiveness and unease around being self-employed again. I suggested that she do her own forgiveness process around the situation. 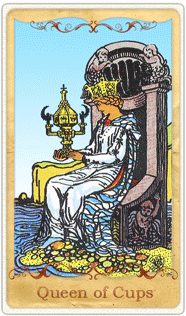 Card five — the Queen of Cups — showed that, as a result of the past, she had become more emotionally self-contained and mature, and that she was also relying more on her intuition and creativity to get the business going. She also wanted to draw into her life a business mentor who would nurture and support her new endeavor. We discussed the possibility of finding a business coach to bring this energy in. 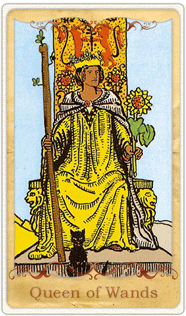 Card six was the Queen of Wands. 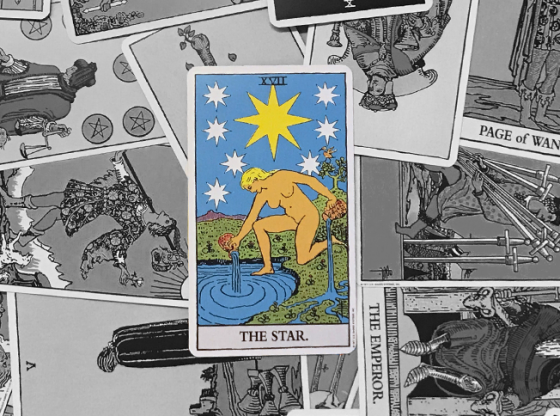 Though the Queen of Cups suggested that Madeline already had some emotional/creative mastery, the Universe wanted her to draw upon her spiritual power of creation, and also her mastery of action and self-confidence. Madeline admitted that she struggled feeling confident, even though, in reality, she was very qualified to start her own business. 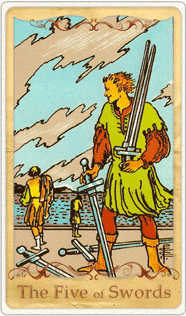 The seventh card was the Page of Swords. The work here was to harness the inspired vision of the Page and the innovative, youthful thinking while not giving into rebellion. When I asked her how she was rebelling against the tasks she needed to do, Madeline replied that she hated working on her website, updating her LinkedIn profile, all things technical. The eighth card was the Two of Wands, another card with fiery, visionary energy. This card was asking her to find her strength and centeredness amongst the excitement and chaos of beginning something new. 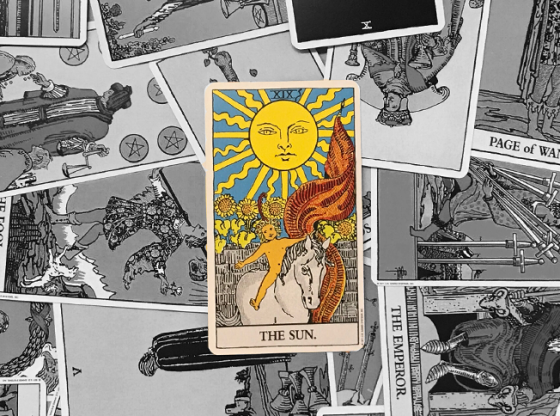 The vision is young and will evolve: Her job was to not give into excitement and distraction (back to the Five of Swords and Three of Wands). 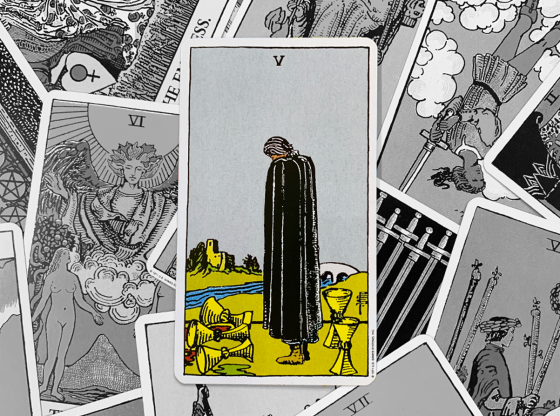 The ninth card revealed the Five of Cups. 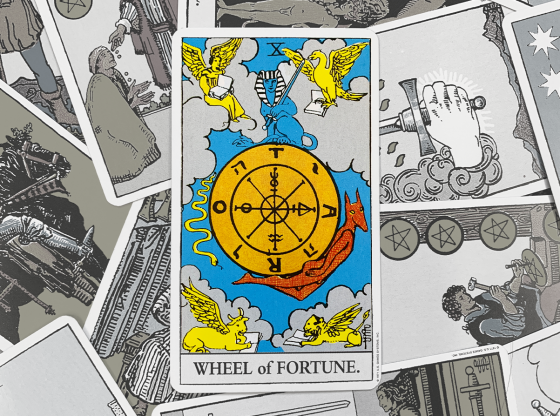 Madeline was distressed to see the card often associated with disappointment and sorrow as an outcome card. But the guidance I received for her said that there would, of course, be minor setbacks that would cause some disappointment. However, despite some goals that might not be achieved, there would be more success than not. She needed to cultivate her self-confidence, centeredness, and clarity to be able to move on from the aspects of her vision that didn’t come to fruition. 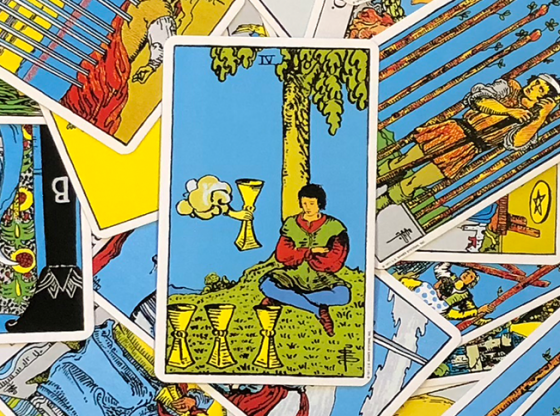 Like all fives, the Cups showed a minor and transitory level of disappointment as she moved toward the long-term outcome of the Page of Pentacles (or Discs) — card 10. 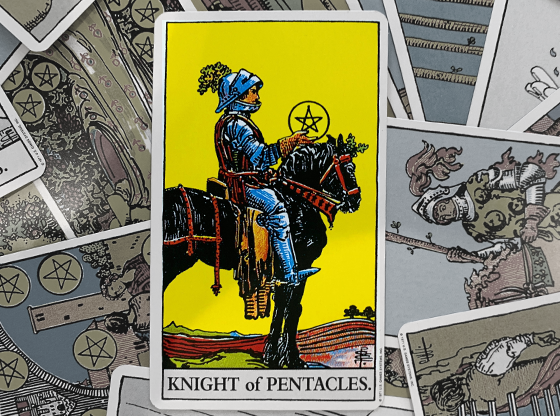 This card brings a steadiness and devotion to the study and building of the desired goals. His energy is devoted to being the architect of life, however long it takes, to build a foundation that is stable and secure. And, rather than being bored by the process, he is invigorated by the amount he learns and the integrity of his structure. Madeline felt empowered by the reading and was motivated to do the tasks we had identified. She liked knowing that her higher self had the situation in hand, and that, ultimately, there were going to be many people coming into her life to help her with the new enterprise (all the court cards). She also felt validated by the Work cards. She knew that self-confidence was an issue, as well as staying centered in the process. She felt excited to work on these aspects of herself. 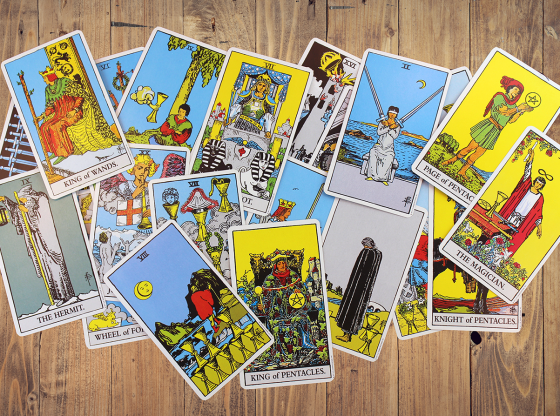 She felt the least connected to the Page of Swords, so I encouraged her to do a meditation with him (using her own deck at home) and see how she could tune-in with him more fully. She felt prepared to experience some emotional ups and downs and realized that this was a part of any new experience. Madeline continued to refer back to her reading whenever she felt like she was spinning into distraction again. She spent time working on the forgiveness of her old business partner and herself. She let me know that she had actually done meditations with all three Work cards to continue to dig deeper. 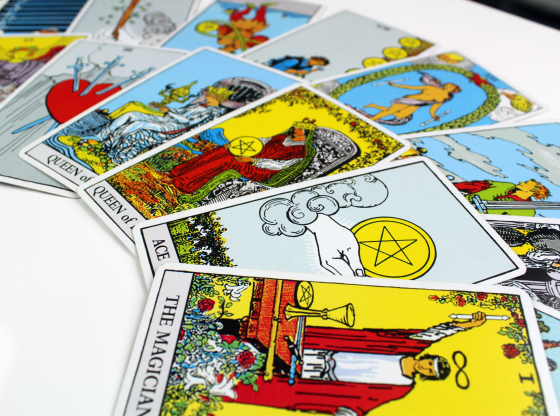 At one point, about three months from this reading, she asked whether she should still be working with those cards or have another session. Madeline admitted that she hadn’t yet reached a calm, stable place. Two months later, she emailed to say that she felt like things were moving forward with a new regularity. 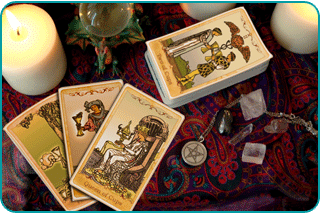 She was going ahead with her Page of Pentacles energy for a while, placing that card on her altar. She was happily engaged in the day-to-day of running her new business. She’ll draw new cards or have a new reading when she’s ready. Her inner Queen trusts herself to know when that will be. To work through any of life’s major issues, contact an advisor on Keen today for a Tarot reading using the Inner Work spread.